Pride of Australia Recognizes the Refuge | Raptor Refuge Inc. 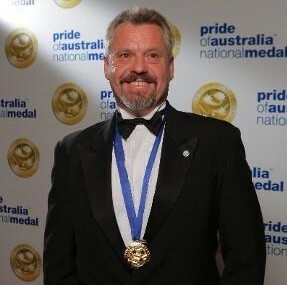 The Raptor and Wildlife Refuge’s very own Craig Webb was awarded the Environment Medal at News Ltd’s Pride of Australia awards in November last year. Surf champion Layne Beachley presented Craig with the award, which he won for his tireless efforts in the recovery and release of countless forgotten victims, from the majestic wedge-tailed eagle to the tiniest bandicoots.